Summer is here, along with the bright sun and lots of outdoor activities. 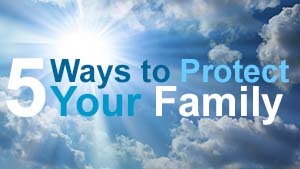 The sun rays beaming down can cause serious risks like sunburn, heat exhaustion, and even skin cancer. 65-90% of skin cancer is due to UV rays. Your children’s skin is a lot more sensitive and just a few sunburns can increase your child’s risk of skin cancer. It is important to use a minimum of SPF 15 sunblock and reapply every 2-3 hours, keep shaded, and wear sunglasses. For more information visit CDC. Did you know that Lyme disease is the most commonly reported vectorborne illness in the United States? During the spring and summertime ticks carrying Lyme disease are more likely to feed on people. In most cases, people are being infected by the bites of the immature ticks, nymphs, which are less than 2 millimeters in length. A good way to protect yourself is through the use of repellents which will either prevent them from coming near you, or kill them before they get a chance to bite. For more information review this helpful Lyme disease toolkit.